BT customers will need to dig deeper into their pockets from July, with a 20% increase in the cost of the BT Sport pack for non-BT TV users and above-inflation increases for phone and broadband costs. 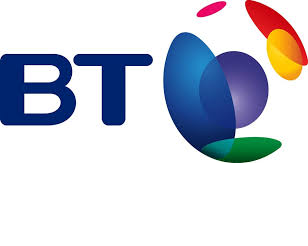 BT's annual round of price rises will come into force on the 3rd July, earlier than usual. It will see the cost of line rental increasing from £17.99 to £18.99 a month. Line Rental Saver increases from £194.28 to £205.08 a year. BT's anytime calls will cost £8.50 instead of £7.95. For those without inclusive calls, the cost of setting up a landline call increases to 19p. Prices for BT's broadband products - required for its YouView-based TV service - will also increase: standard pricing for BT's broadband service is increasing from £13 to £15 a month (+15.4%). BT Infinity (fibre to the cabinet) broadband is increasing between 5% and 13% a month, depending on the product type. Customers will be informed by letters and emails of how the changes will personally affect them. The BT Sport TV Pack introduced last year to BT customers without BT TV, which covers the cost of accessing BT Sport 2, BT Sport Europe and BT Sport ESPN is increasing by 20% from £5 to £6 a month. The channels remain available at no extra cost to BT TV (YouView) users. Details of the cost to viewers accessing BT Sport via Sky during the next football season are due to be released alongside a full breakdown of charges. BT has defended the rises pointing towards providing better customer service, faster engineer response when faults occur, more inclusive data, free speed increases (if your line can handle it) and free protection software. The company has been increasing prices by more than inflation for the past few years, although it has changed some of its products to include more features, making comparisons difficult. Line rental has been steadily climbing, with a £1 increase applied to monthly charges every year since 2014. Ofcom rules say that if you are affected by the price rises, you can end your contract penalty-free, providing you let BT know within 30 days of them providing you with notification of the prise rises.